A couple months ago I went a little craft crazy and bought a ton of things from Amazon, including a pack of felt sheets. I’ve seen all kinds of cool ideas on Pinterest, so I decided to try a few things of my own, and they’re a big hit! Felt crafts have kept Allison busy for quite a long time and she’s still asking me to cut out more things for her to play with. 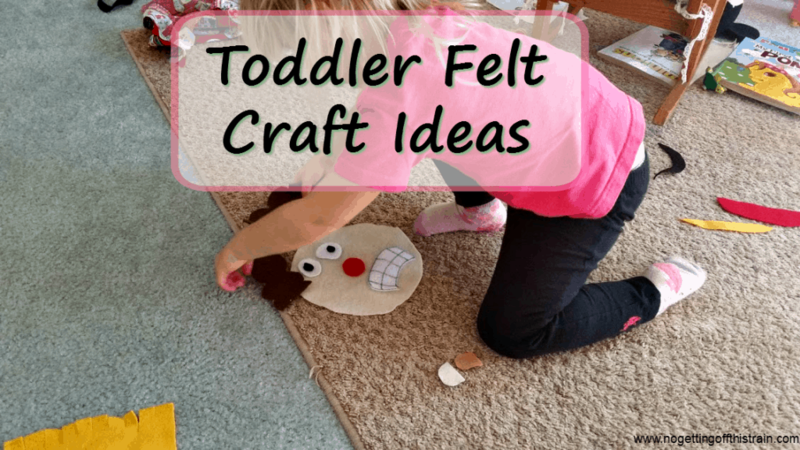 Below are some toddler felt craft ideas for you to toy around with. 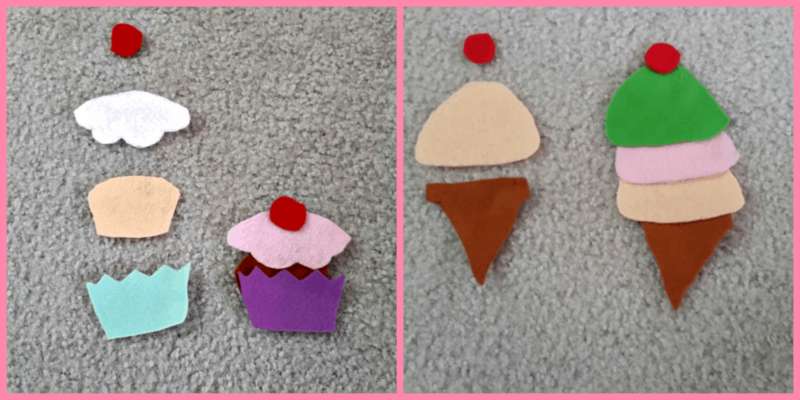 They’re super easy to assemble; if you can cut out basic shapes, you’re just fine! And remember, it doesn’t have to be perfect; I didn’t go for the Pinterest-Perfect look, either and Allison still has a blast. The first thing I created was a face, with all different sorts of eyes, noses, mouths, and hairstyles. It reminded me of a Mr. Potato Head when we first started assembling, because Allison thought it was hilarious putting the nose on top of the head and things of that sort. I used basic white circles for the eyes, and tiny black and blue circles for the insides; then a couple different shapes for the nose; and then just made up my own hairstyles. 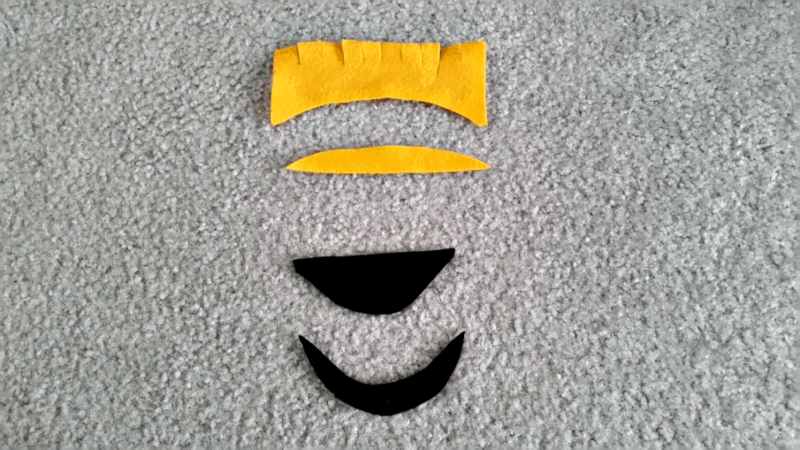 I used a permanent marker to draw the shapes on the felt, but pencil would probably be better as you’ll be stuck with dark marks on your creations if you cut wrong. My favorite part about this was that I unintentionally created more pieces with the leftover scraps. 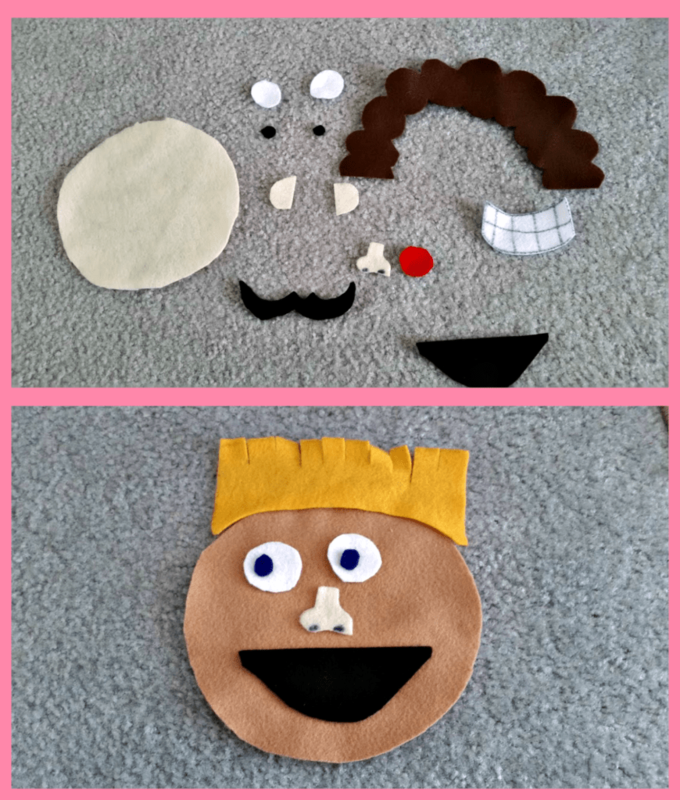 Some of the little leftover pieces from cutting out the mouth and hair can now be used as a mustache or another mouth! I think Allison first discovered that, and it required no extra effort on my part. The next thing I did was make food because, well, we love our food. And I love the creations some people have come up with. 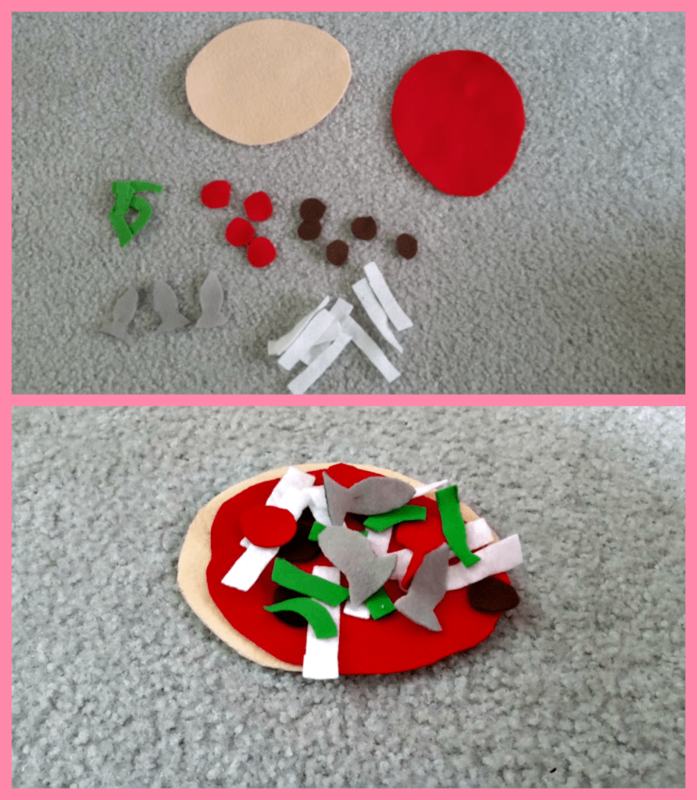 The pizza idea I kind of stole from our children’s museum, who has a pizza creation station. Only their cheese is made of felt, though; everything else is other materials. I cut out circles for the dough and sauce; and then little circles for pepperoni and sausage; and then little green and white strips for bell peppers and cheese. Allison likes making faces out of the pizza toppings; whatever makes her happy! She especially loves the cupcakes and ice cream cones. You can use whatever colors you want; I used a peach color for vanilla cupcakes and brown for chocolate, and then pastel colors for most of the icing. And the best part: I can re-purpose the pepperoni as cherries! Instead of cones, you could even cut out little bowls and make a huge dish of ice cream; that actually sounds like a great idea, I may do that! Felt is cheap and you can do so much with it, and you can easily store the pieces in dollar store zipper bags or little baskets. Hopefully the above ideas will provide you with hours of entertainment! Have you created anything else with felt? Be sure to share in the comments! Toddler-Approved Easter Basket Ideas- No Candy!